Newsfeed is an online application that allows you to see what your friends and coworkers are doing, as well as letting you post your own activities and content onto a constant feed. 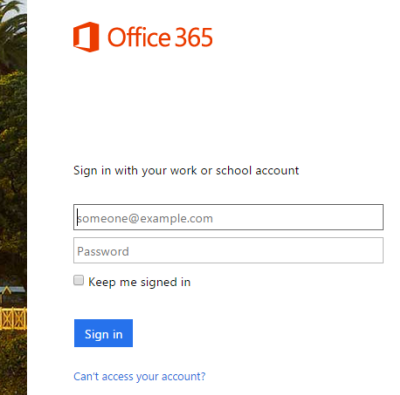 To open Newsfeed, first login to Office 365 through a web browser. Navigate to https://portal.office.com/ and sign in. 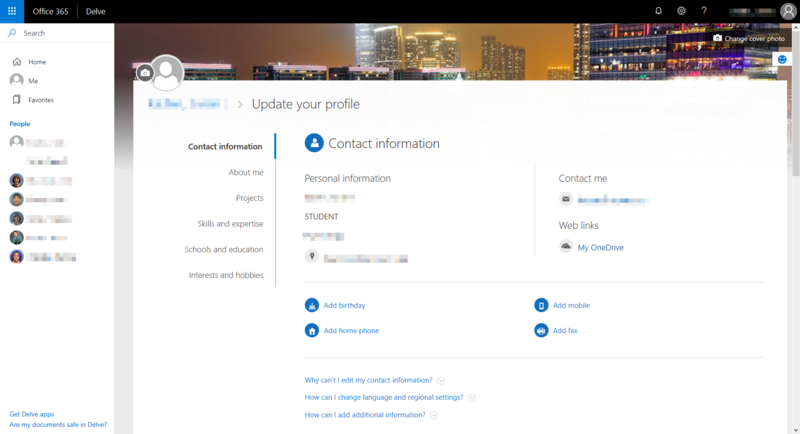 At the Office 365 main page, click on the Newsfeed icon. The Newsfeed homepage will open. 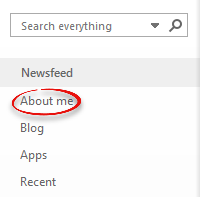 This is where most features of Newsfeed will be accessed, as well as additional settings. The basic function of Newsfeed is to post content that others can see. In the center of the page is the feed and the new post tool. Directly below it is the feed options, which let you edit what your feed is showing.To make a new post, click in the central box and begin typing. when you are finished, click the Post button underneath. The posting options are located underneath the central box. Clicking on the ellipses will allow you to see who has liked your posts. 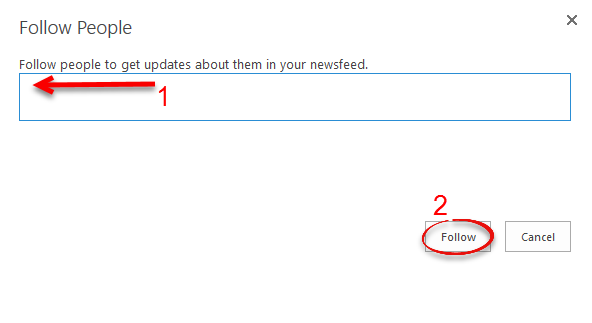 When you have clicked Post, your post will appear on your follower's Newsfeeds. You can click on the ellipses here to see additional options (such as the ability to follow this post). To delete your post, click on the 'x' in the upper right corner. Followers are other people who will receive updates and posts from you, and if you are following them, you will in turn be able to see their updates and posts. The basic information about followers is located on the right-hand side of the page. 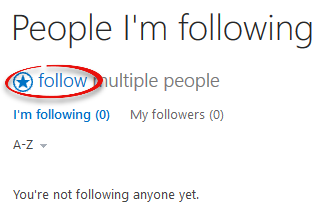 Clicking on the people section will take you to the Followers page. At the Followers page, you can see who you are following. To follow more people, click follow. A new window will appear. Type the names or email addresses of people that you want to follow, and click Follow. You can edit your profile so that your followers can see more about you, including your profile picture, interests, hobbies, and other information. In the sidebar on the left-hand side of the page, click About me. You will be taken to your personal information page, where you can see the information about you that others can see. To change this information, click edit in the upper right. You will be taken to the profile editing page. 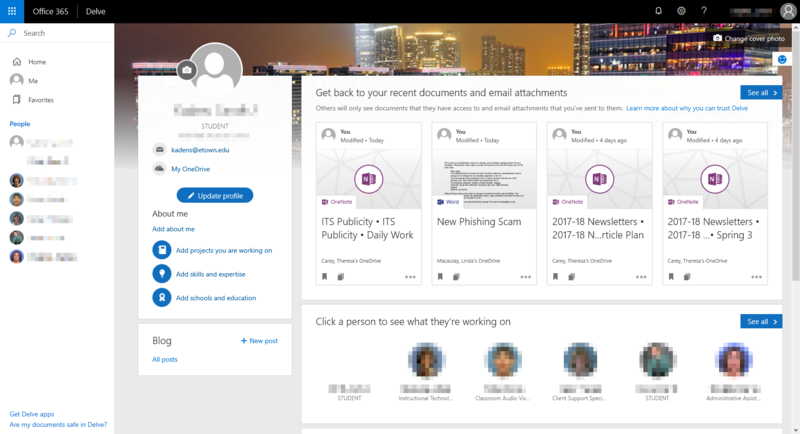 Here, you can change certain pieces of information, but others cannot be changed (such as your name, department, and others). Tags are labels that can be included in posts which allow users to easily view and find similar posts. by including one in your post, you can link it to any other posts that share that same tag. To include a tag in your post, type the "#" key, and then include the word or words that you want to use. Note: the tag will appear shaded in gray to indicate they are being hashtagged. Also, no spaces can be used when creating a tag.